· Deep and wide frame for larger patients. · Generous patient height range of 5'3" to 6'10". Note: These are just client height approximations. 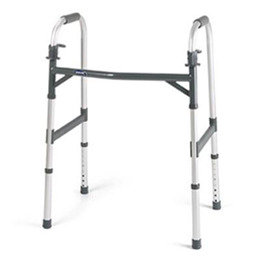 · Walker comes equipped with dual-release buttons that are easy to operate and provide audible locking cues. · Wheel Kit Model #6372 can be added.